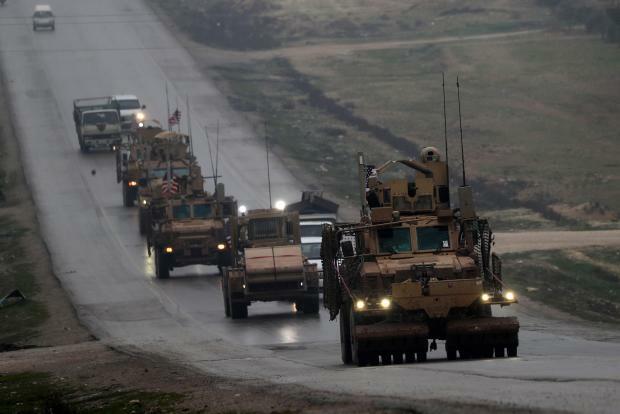 A convoy of US military vehicles rides in Syria's northern city of Manbij. File photo. "CJTF-OIR has begun the process of our deliberate withdrawal from Syria," spokesman Colonel Sean Ryan told AFP in a statement, referring to the US-led anti-jihadist force. The Syrian Observatory for Human Rights reported that the coalition had started scaling down its presence at Rmeilan airfield in the notheastern province of Hasakeh. "On Thursday, some American forces withdrew from the Rmeilan military base in Hasakeh province," Rami Abdel Rahman, the head of the Britain-based monitoring organisation, said. On December 19, Trump said he had ordered the withdrawal of all US forces in Syria, which are believed to number around 2,000.